Now that my scraps are all organized, it’s time for me to make better use of them. When I was preparing for my last scrap quilt, I cut 2 1/2″ squares with my die cutter and filled a shoe box (that’s a lot of 2 1/2″ squares!). For this project, I did not want to have to separate lights from darks – I just wanted to go scrappy. I don’t seem to have many true lights – my whole stash is very colorful and bold! 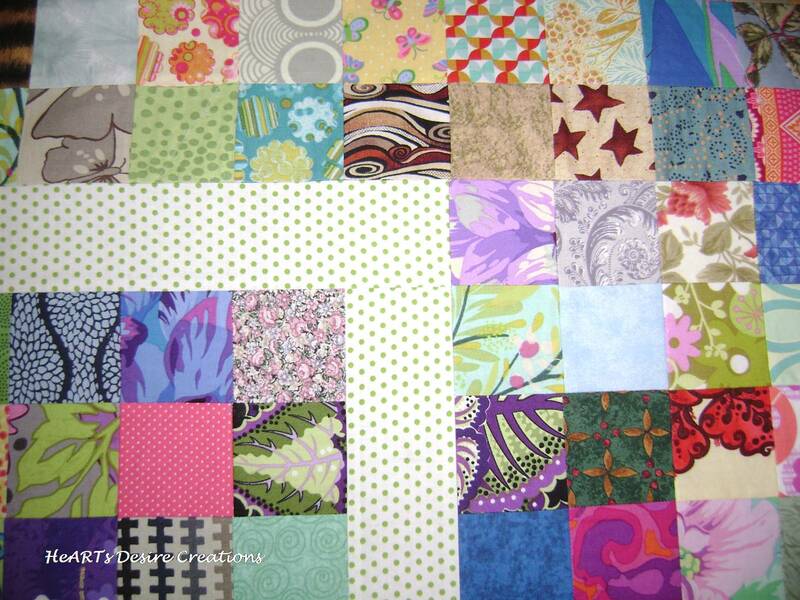 I found this scrap quilt on the net and began by piecing the 2 1/2″ squares as leaders and enders. Then I pieced them into groups of four and then put those together. Before I knew it I had the center 100 patch I needed. When this quilt is done, it will count as one of my UFO’s for my guild’s challenge. I didn’t want to use white for the borders. After auditioning many fabrics for the borders it was clear I was going to have to purchase what I wanted. So much for working just from stash! I decided on a white with small green polka dots. I bought it through the mail and was a bit nervous about whether it would work or not. Yeah! I love it! It really is perfect. 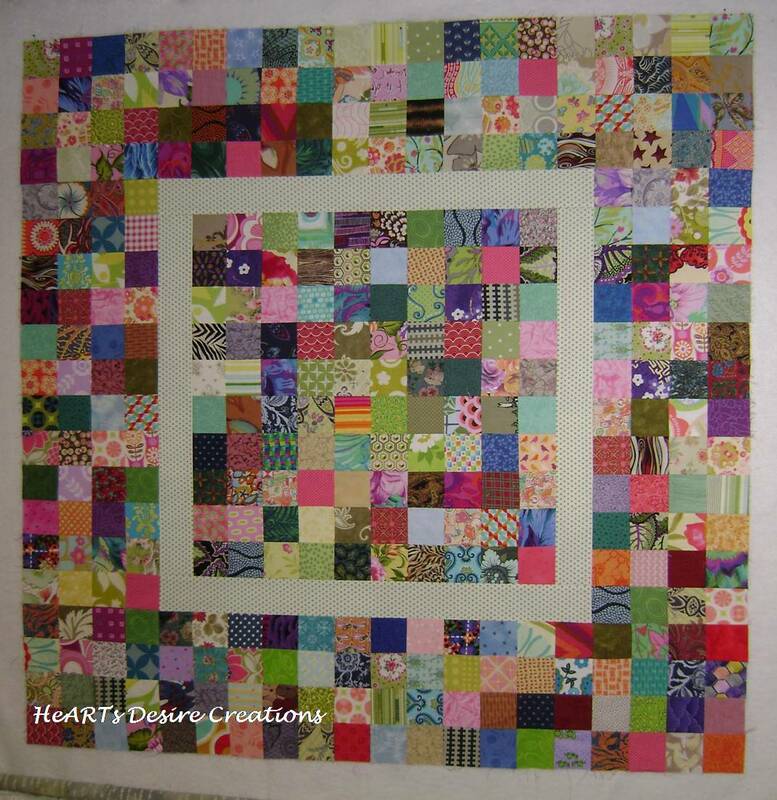 I’ll be adding two more borders pieced with the squares and the polka dot strips between. When this quilt is done, it will count as one of my UFO’s for my guild’s challenge. Alas, I have to put it away for a week or two. I’m preparing some goodies for Spring Quilt Market and…preparing for the retreat in Blowing Rock! This bag is FULL of great prizes. There’s still a few open places at the retreat – come join me! Posted in Fabric, Quilting, Quilting Retreat. Bookmark the permalink.